The Parrini Hotel, situated in Follonica, directly on the beach and very close to the pine wood, since the 1996 has always paid attention of environment. · Distribution of brochures regarding the environmental aspects. We ask to our guest to pay attention on those behaviours that can produce environmental impact and affect on the use of natural sources. The Parrini Hotel has chosen the way to obtain the "Ecolabel''. 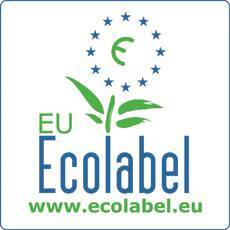 The "Ecolabel'' is the European environmental certification of products and services created in 1992. It's an instrumental of voluntary assess which is given to those products and services that have a reduced environmental standards and established unsettlements in compare to the European level. The achievement of the label is a certificate of excellence which is granted only to those products and services that have a reduced environmental impact. In this way the Hotel's management chooses a policy of rules and operative instructions which help the structure to improve it's own services in the environmental field and to keep always monitored the important aspects of the hotel it-self.